word salad. | a delicious blend of fresh nouns, verbs, adjectives and italian dressing. LearningZen is pleased to introduce the addition of two new exciting and innovative features! While we have always had the ability to include video in your courses, we have now added a convenient YouTube™ button that makes transferring your videos a one step, easy, and automated process. Simply copy and paste the embed field from an uploaded YouTube™ video (whether it’s yours or someone else’s) and click “Insert YouTube Video”. It’s that easy and you can even customize the size and appearance of the video before inclusion. The second feature, implemented as a direct request from our user community, is the capability to upload existing PowerPoint presentations onto LearningZen.com. We have selected SlideBoom™, an easy-to-use slide hosting service to work in conjunction with our existing course editor. 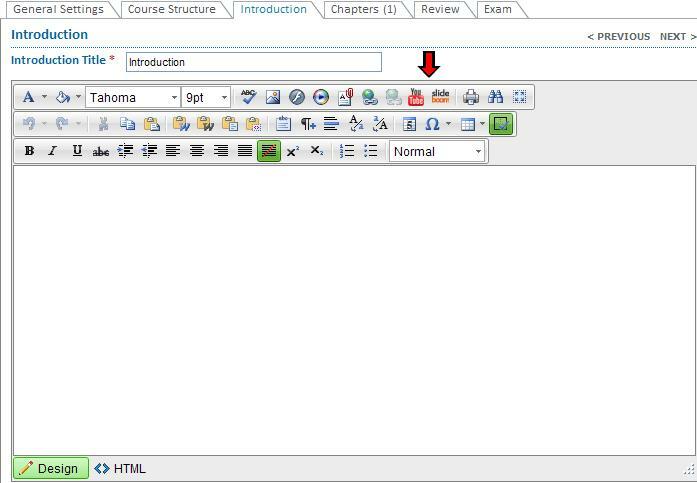 You can create a free account on SlideBoom™, upload your presentations, and use the embedded address they provide you to paste into the LearningZen.com course editor box. This is one of several features that have come straight from our community. We honor our users’ requests and strive to build our site so that is beneficial to those who use it. Do not hesitate to contact us directly with any ideas or comments you have: Tanya@learningzen.com. Since working at LearningZen, I’ve been able to play around a lot and create a lot of cool courses. At this point I have 7 published courses, and one that I’m still tweaking. It’s allowed me to do what I love; learn, reflect, write, and share. I thought it’d be fun to review some of the content I’ve generated. The first course I made was Stress Management in the Workplace. Although it was intended for the workplace, I think it really applies to dealing with overall stress in your life. Next was the Swine Flu course. Since everyone was freaking out about it, I put together some solid information about identifying whether or not you have the flu, precautions to avoid it, and how to treat it. In the trend of talent management, I added a course for Job Interview Success. After meeting some folks in Oshkosk, WI at the EAA Airventure show-I put together an informative course about their non-profit organization. This was one of my favorite courses to make. Twitter for Begineers was basically my personal journey of figuring out what the heck it was, and then translating my experience for the rest of the free world. Most recently I took another stab at breaking it down and made a guide to using the new Windows 7. 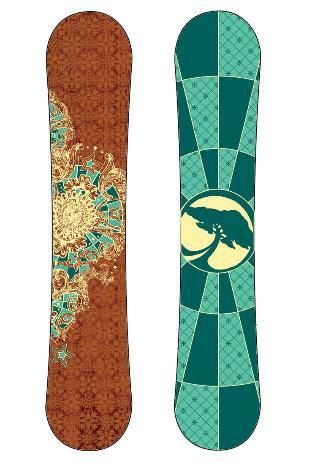 Vote for Katie’s Snowboard Design! Click on this link to vote for Katie: VOTE! It’s that time of the year again. That special time of the year when snow dumps in the Wasatch Range and PBR flows like water. 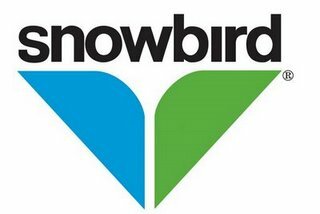 Snowbird opened on November 20th this year and I couldn’t have been happier to get into my ski boots. I am more than enthused that I sacked up and got a season pass this year; last year I only opted for the spring pass and my wallet suffered incredibly. Simply because the snow was so incredible and I couldn’t rationalize not playing in it. I don’t understand people who live in Utah and don’t like the snow. It’s one of the biggest mysteries of life to me. Move to Florida. I’m thinking rather optimistically about this season. I’ve already decorated a candle specifically for Ullr. A night of festering boredom lead to me using silver duct tape to concoct a duct tape skier accompanied by duct tape snowflakes and mountains. I’m either a very creative individual, or I need to find a hobby; you pick. I figured lighting a candle was probably more ethical than sacrificing young virgins to the great snow gods. In the wise, wise words of Salt N Peppa, I plan on “pushing it real good” this season. I really want some good progression this year, and I won’t settle for any less. Here’s to the start of a new season! 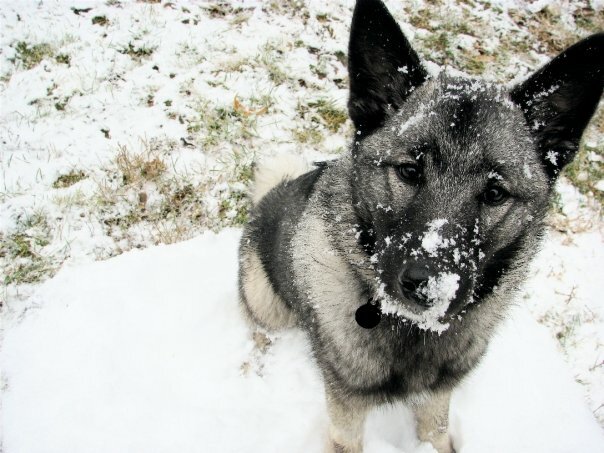 Also, a totally unrelated picture of my dog in the snow, isn’t she the cutest? A lot has happened since I last posted, and it all went by in one all too fast blur. The wedding was absolutely beautiful although it happened to be the one day it rained that I was home. I’ve never really considered getting married but after watching the wedding and seeing the envelopes full of money and tables full of gifts; I’m thinking more seriously about it. Coming back from a vacation is tough. Whether it was a trip for business or pleasure, it’s hard to get back into the swing of things. Everything was just as I left it at LearningZen.com, right down to where I left my coffee cup and notebook sitting. Compared to the last trip I took, my inbox was forgiving. I was able to follow-up and get on my feet in a matter of a day, rather than multiple days. The developers have been working hard on the Premium Services aspect of the site and updating features that our clients have requested in the system. Unfortunately we lost Bruce (to another project…he’s still alive) so I now longer enjoy his always smiling face at a moments glance. In any event, today I got to go shopping for swag which is actually really fun! We managed to run out of LearningZen tee-shirts and are down to our last box of water bottles. Although I was tempted to get somewhat redicules things with our logo on it I settled for pens, stress balls, water bottles, and hand sanitizer. I’m so boring! The other day I got my twitter account hacked. It was quite wonderful and sent my friends a message about how they could make $300.00 a day if they clicked on a link (which I also kindly supplied). Believe it or not, I actually have real employment, and I wouldn’t get involved in pyramid schemes if I didn’t. Everything at LearningZen has been going quite well, so I’m really not marinating the option of getting into shady online businesses. It’s been a busy week, music has helped. I was never one of those people who needed complete silence and solitude to do work, I actually get more done with something happening in the background. I’d like to thank the beats of Chromeo, Matt & Kim, and The Walkmen (along with countless others) for picking me up and also simultaneously calming me down at the same time. This week has been pretty devoid of anything monumental, personally, but hopefully I can make it up by having an action-packed, fun filled weekend. Next weekend (actually part of the week as well) I will be home in the glorious, glorious land of Connecticut. And by glorious I mean we cut down trees to build things like strip malls and mansions, and then name streets after them; it’s really cute! My road is off of Wood pond, which is off Rockledge, which is off Riverside. And yes, those things used to exist there until they blew them up. The joys of modern suburbia…I am headed to my homeland for to go to my first “friend” wedding. Isn’t it wierd that most of our parents were married with kids at 24, and I can’t even imagine getting married at all or in the remote future? In any event it should be a good time, and I am actually looking forward to traveling back east for a little R & R and some quality time with friends I haven’t seen in awhile.